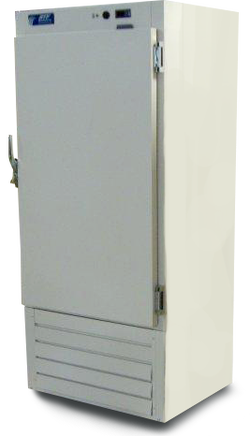 RTF Lab Refrigerators are designed for scientific, clinical, and industrial use. They are equipped with heavy duty hermetic compressors and direct airflow cooling systems and maintain a standard operating temperature of +4°C within +/-1°C. RTF Lab Refrigerators are available in nine cabinet sizes to fit a variety of space and storage requirements. All models meet UL standards for safety and performance.